Dinosaur Comics - October 24th, 2013 - awesome fun times! –Of course, this made him SUPER socially awkward! Galaga: the comic! It is a legit comic based on Galaga. It features the President in space. To Be or Not To Be! It is a legit version of Hamlet redone as a choose-your-own-path adventure. 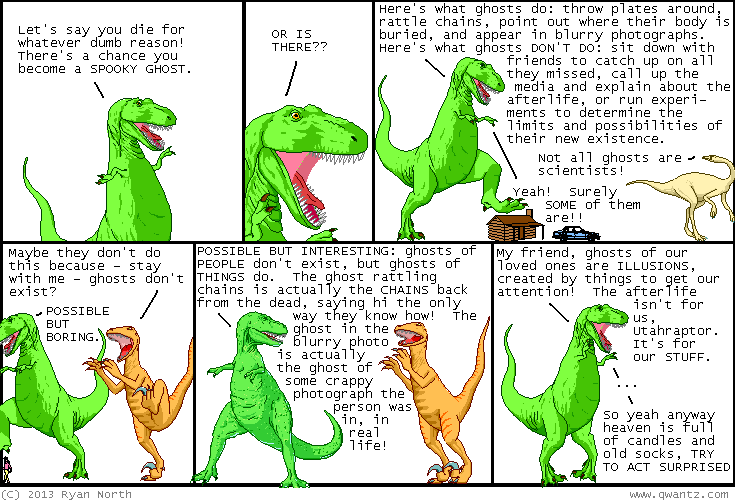 It features SCIENCE and GHOSTS. Adventure Time! It is a legit comic about Adventure Time. Issue 21 is out this week and you should totally check it out.